A simple pair of bracers for a simple look. 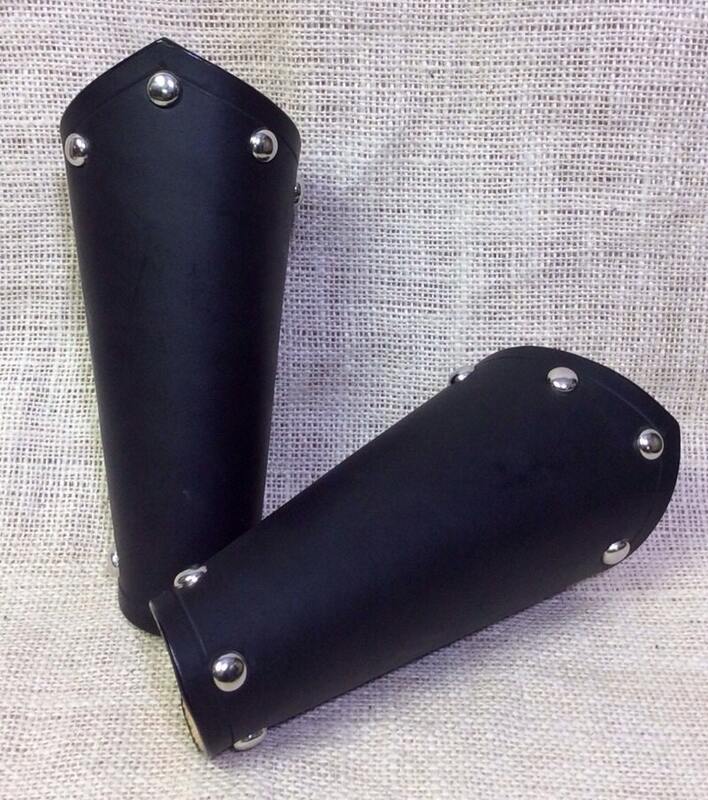 Each pair of bracers is made of 7/8 oz vegetable tanned leather. The edges are burnished smooth and a special black edge paint is applied to make them more durable and give them a nicer finished look. Silver colored studs adorn the top and bottom edges to give that little bit of "something extra." The bracers lace up with heavy duty nylon boot laces. Black bracers have silver colored eyelets. These bracers are one-size-fits-most average sized arms. I generally ship via the US Postal service.